As fire ants attack their victims in groups, the stings often come in clusters. The symptoms begin with an intense pinching or burning pain soon after the attack. The pain is short-lived, followed by itching or burning that may range from mild to intense. There may also be swelling, raised bumps and pus-filled lesions on the skin or spreading redness on the skin. The symptoms may last anywhere from a few hours to a few days. People who are allergic to the fire ants’ venom may need immediate medical care if they develop more serious symptoms as part of an allergic reaction. Such symptoms may include difficulty breathing, having a hard time swallowing, nausea and dizziness. In the most severe allergy cases, long-term treatments may be needed, including whole body extract immunotherapy. But for people who do not show any allergic reaction, some simple and natural home remedies can help get rid of the itchiness as well as the irritation from fire ant stings. 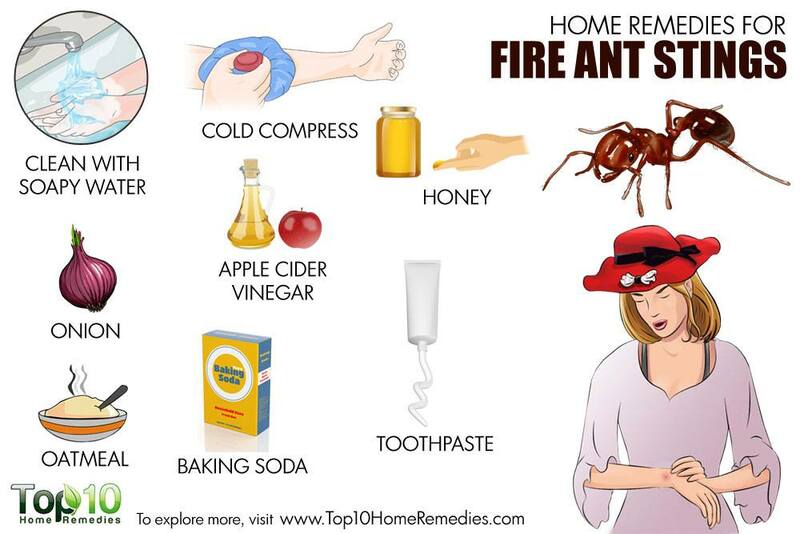 Here are the top 10 home remedies for fire ant bites. 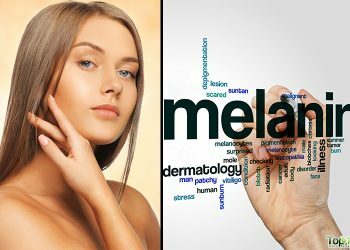 Before starting any treatment, you need to immediately move away from the fire ant mound and try brushing the ants away from your body as well as clothes. 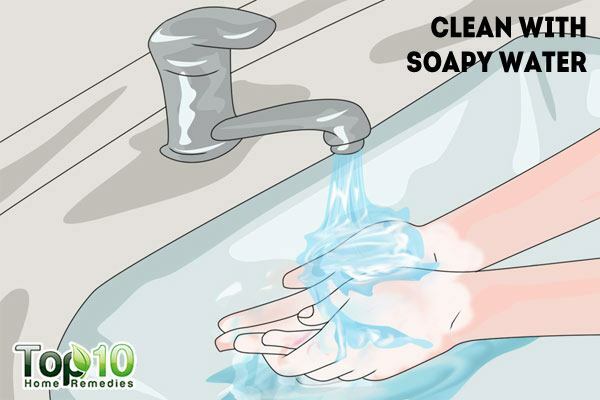 Then, you must clean the affected area using soapy water to wash off the venom from skin and remove any dirt or debris, which in turn will help prevent an infection. Use a mild antiseptic soap and gently clean the area. Thoroughly pat dry the area with a soft towel, then apply some olive oil to keep the skin moisturized. Follow this by keeping the area elevated, which will help minimize swelling. 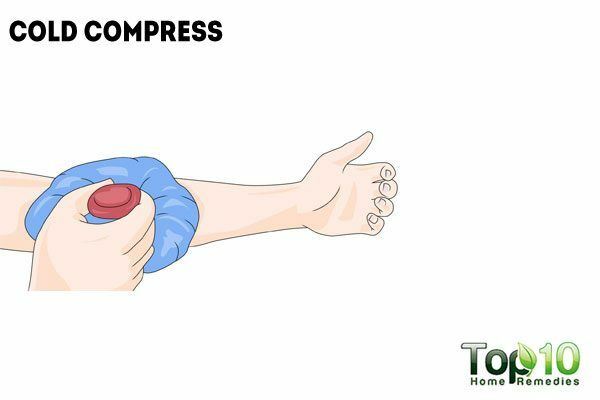 A cold compress is one of the best remedies to stop the itching associated with fire ant stings. 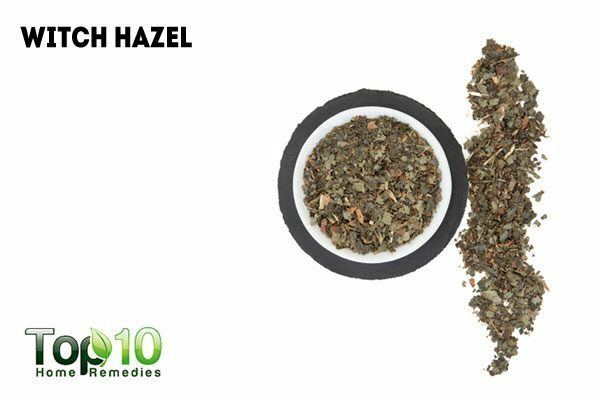 It helps alleviate itching by bringing down the swelling and numbing the affected area. Put some ice in a plastic bag and wrap it in a thin towel. Apply it on the bitten area for 5 minutes. Take a break for a couple of minutes and repeat again. Do it as needed during the initial 24 hours. Note: Never put ice directly on the skin, as it can cause frostbite. For reducing the discomforts, your regular bottle of apple cider vinegar is also very effective. The fire ants’ venom made up of alkaloids and allergenic proteins can be neutralized with the slightly acidic property of apple cider vinegar. 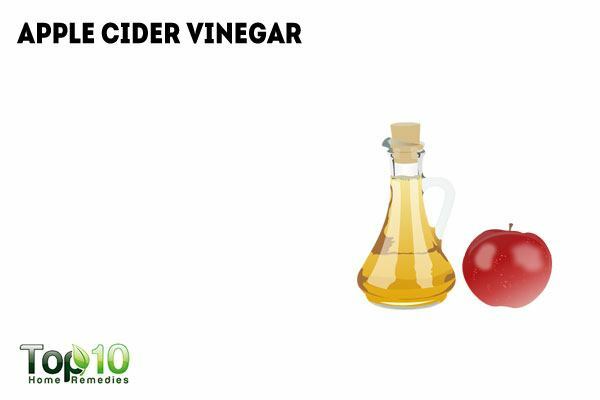 Plus, the antiseptic and anti-itching properties of apple cider vinegar help get rid of itching as well as inflammation and swelling. 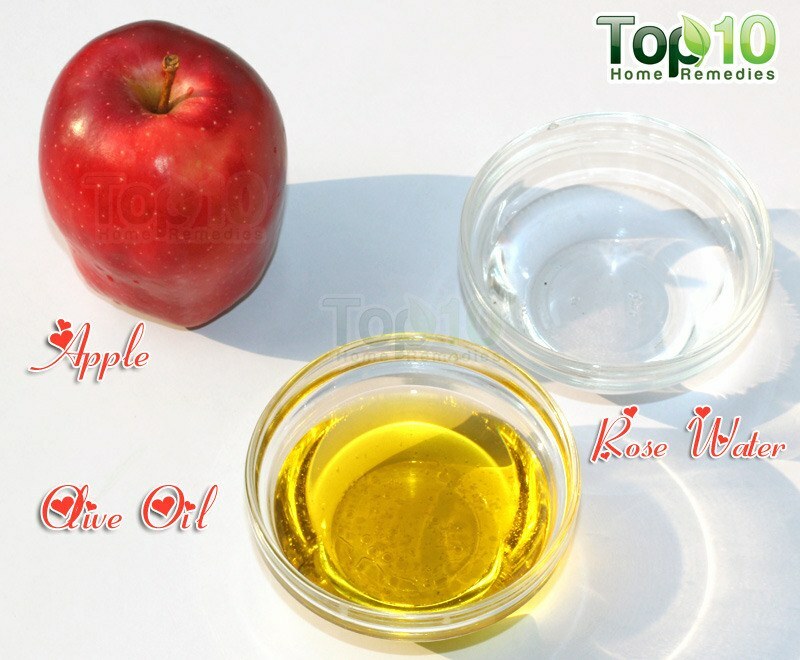 Apply raw, unfiltered apple cider vinegar directly on the affected areas using a cotton ball. Wait 30 minutes before rinsing it off with cool water. Pat dry the skin with a soft towel, then apply a light moisturizer to prevent dryness. Note: If you have sensitive skin then dilute apple cider vinegar with an equal amount of water before applying. 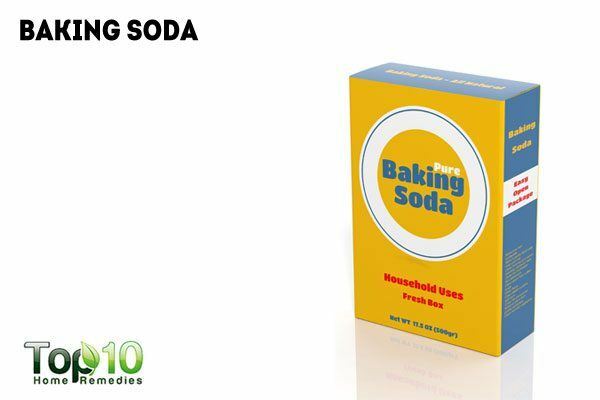 To lessen the itching and reduce redness on the affected area, baking soda is a very good remedy. It acts as a natural acid neutralizer that helps reduce the effect of the ants’ venom. This in turn lessens the itching as well as the risk of infection. Mix 1 teaspoon of baking soda with enough water to make a paste. Leave it on for about 10 minutes before rinsing it off with lukewarm water. If the discomfort persists, apply again after a few hours. Witch hazel is another common household ingredient that can be used to relieve irritation caused by fire ant stings. Its astringent nature will provide relief from the itching and swelling. 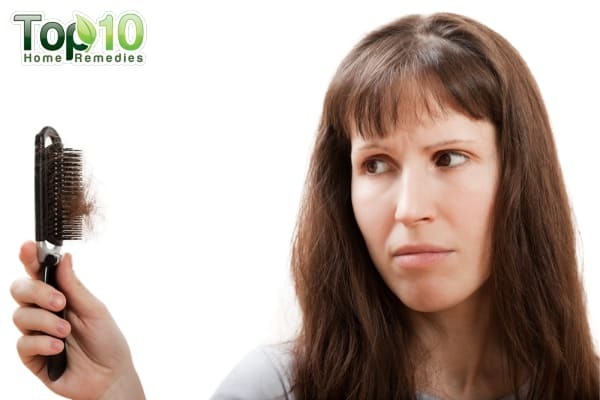 Put a small amount of witch hazel on a cotton ball. Apply it on the affected area and allow it to evaporate. Do this several times a day as needed. 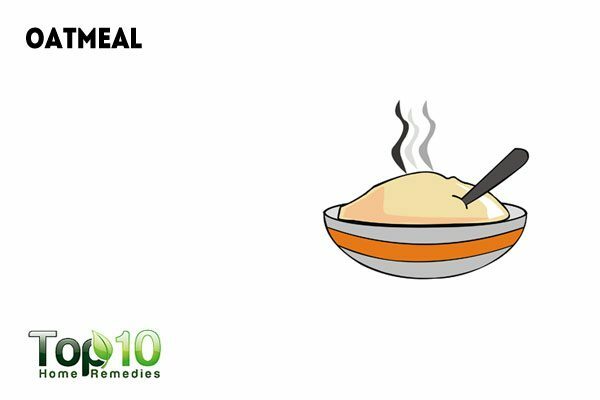 For any kind of itching and inflammation, oatmeal is a very effective home remedy. Oatmeal contains anti-irritating, anti-inflammatory and soothing properties that provide instant relief from itching and reduce inflammation. Add 2 cups of colloidal oatmeal to a bathtub filled with lukewarm water and stir thoroughly. Soak in this water for at least 30 minutes. For quick relief, your regular white toothpaste is also effective. 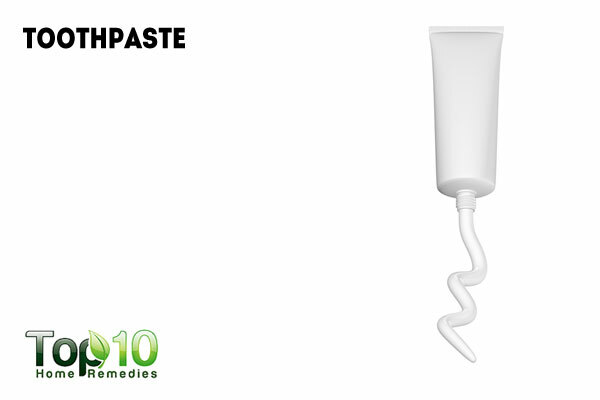 It contains cooling menthol that helps reduce the itching and burning sensations. Avoid using gel-based toothpaste. Leave it on for 10 minutes, then rinse it off with cool water. Instead of toothpaste, you can also use Vick VapoRub as its menthol content will help provide relief. 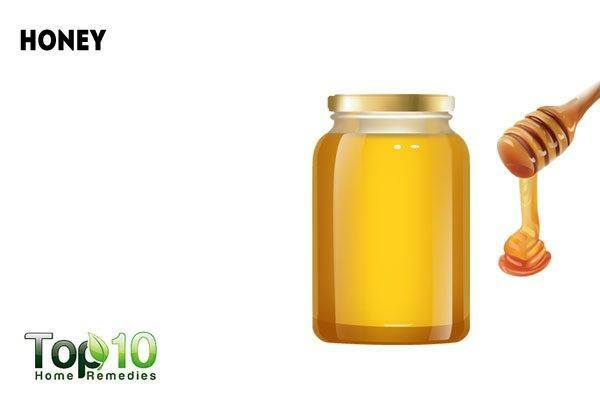 Raw honey is another beneficial home remedy for treating fire ant stings. The moisturizing property of honey will provide soothing benefits to your skin. It will also reduce the itching and swelling. Apply some raw honey on the bitten area of your skin. Leave it on for 30 minutes before rinsing it off with cool water. Repeat a few times, as needed. Aspirin can neutralize the fire ants’ venom to promote a quick recovery. Also, its anti-inflammatory properties can relieve swelling and itching. 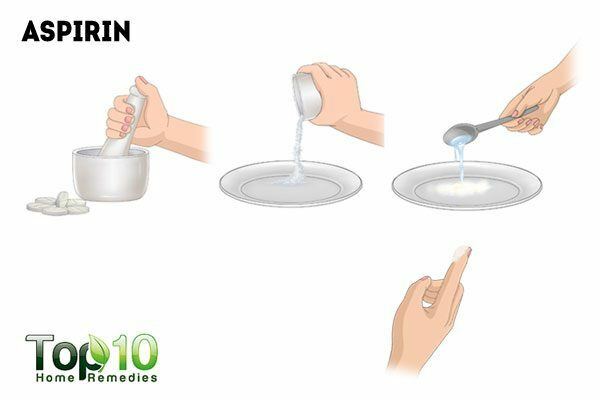 Using the back of a spoon, crush a regular aspirin into powder form. Add a few drops of water to make a paste. Leave it on for a few hours, then rinse it off with lukewarm water. Onion can also helps take the sting away from fire ant bites. 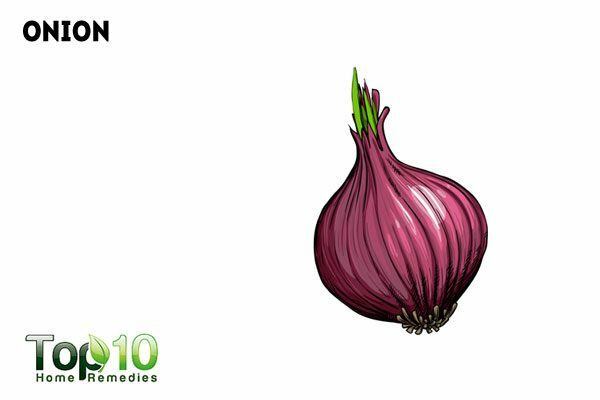 Due to its antiseptic properties, onion also helps reduce pain, inflammation and swelling. Cut up a piece of onion. Crush it a little with the back of a knife. Place this piece of onion on the affected area and secure with a tape or bandage. Leave it on for 20 minutes, then rinse your skin. Try to avoid fire ant colonies as much as possible. When going out, take basic protective measures like wearing shoes and socks. You can also use insect repellents designed to deter fire ants. Take an antihistamine to prevent an allergic reaction. Applying campfire ashes on the affected area is a popular folk remedy. 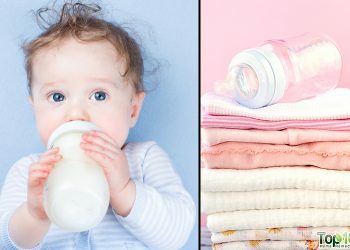 Liberally applying liquid hand sanitizer or hydrocortisone cream to the bitten area is also helpful. Resist the urge to scratch the bitten area, especially if there are blisters. Do not pop blisters if they appear. It will only increase the risk of infection. If a blister breaks open, cleanse the area with soapy water and watch for signs of an infection. After reading that modern doctors were now finding what ancient doctors knew : sugar heals. The very week I read this in about 1988 I walked into a fire anthill, while golfing. Thought I must have walked through a bonfire. When I looked closer, saw the ants, began to brush them off, but some kept clinging, injecting me with their poison, which is their first instinct KILL I knew I couldn’t continue golfing as their sting is impossible to cope with..
As I rounded up my gear, I spotted a mint candy that I often carried . So I decided to see if it might help. I wet the cand with my saliva, and began to smear everywhere . Lo and behold the stinging stopped immediately .. I simply rubbed that hard stripped mint candy up and down everywhere they had crawled- beyond the knee. NO pain at all. I was able to continue with the game, even with the sticky substance on my legs as I’m very fond of the game. It was no fluke- the president of our park association , bitten even worse followed my advice, and was dumfounded with the results. Experimenting with this method later, we found that it also healed clear up the re-occurrence of that bite- it postulates a bit, itches like heck, you wash it off, but in a week or so, it will flare up- there must be some reason for it, and we were happy to find rubbing it with the sticky candy, cured it for all time. My wonderful son-in-law decided to rake our property and came running for help, fire ants covered him in seconds, and after hosing them off, we applied some honey- just smeared it over his bitten legs . I know that you doubt the veracity of this letter, but please verify it for yourself . 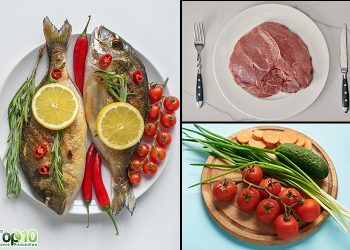 There have been some terrible deaths from these bites and many are allergic and die within minutes. If folk know about this they will carry some syrup just in case. I’m 93 years of age, and I do not want to go to my grave knowing I could have saved much pain and suffering by passing the info on. Thank you Betty, I am searching the internet for help. I have been bitten by red ants two days ago, while I was out taking some picture, and it’s terrible. My let foot swell and itch like crazy. I tried things that i know and things I gathered from the internet and nothing happen. I will try you remedy, thank you. Yes, anything with mint helps. (Vicks, Tiger balm) Also, Turmeric mixed with vinegar. How can they be both alkaloid and acidic?